Left to Right: John Stromberg, Mayor, City of Ashland; Allen Drescher, Attorney at Law; Dr. Linda Schott, Southern Oregon University President; Livia Genise, Livia Genise Productions; Jac Nickels, Architectural Design Works, Inc.; Drew Gibbs, Alchemy Restaurant & Bar; Meiwen Richards, Honorary Life Member; Deena Branson, Branson’s Chocolates, LLC; Cynthia Rider, Oregon Shakespeare Festival; Annie Hoy, Ashland Food Co-op; Eric Weisinger, Weisinger Family Winery; Marie Lange, Ashland Homes Real Estate; Larry Steiner, Edward Jones-Larry Steiner; Sheila Clough, Asante Ashland Community Hospital Administrator; Cindy Bernard, Rogue Valley Roasting Co.; Julie Gurwell, Hearsay Restaurant, Lounge and Garden; Mary Gardiner, Southern Oregon University. Not Pictured: Pam Marsh, City Council Liaison & Suzanne Cusick, Ashland Public Schools Superintendent. Ashland Chamber of Commerce, historically grounded since 1889, promotes businesses and the community by providing business resources, creating events, maintaining strong community partnerships, promoting tourism, conducting community issues discussions and collaborative problem solving, providing community leadership. The Ashland Chamber of Commerce has a Rapid Response Team to help answer your business questions whether you are starting, growing or moving your business to Ashland. Complete the form below and an Ashland Chamber staff member will connect with you shortly. The City of Ashland is a municipal corporation first organized in 1874. The Ashland City Council is elected to serve as the governing body for Ashland’s citizens. The Mayor, who presides at the City Council meetings, is elected at-large for a four-year term. Six council members are elected at-large for four-year staggering terms. Other elected officials are the City Recorder, Municipal Judge, and the five-member Parks and Recreation Commission. The Mayor, with confirmation from the City Council, appoints a City Administrator and City Attorney. The City Administrator has the responsibility for all city functions with the exception of the Parks Department. The City Administrator recommends the appointment or dismissal of the Administrative Services and Finance Director, Community Development Director, Electric/Information Technology Director, Fire Chief, Police Chief and Public Works Director. Jackson County is governed by a three-member Board of Commissioners who are nominated and elected from the County at large, serving four-year overlapping terms. The County Administrator, a position created by ordinance, is appointed by and reports to the County Commissioners. Its mission is to provide public services that protect and enhance the quality of life in the County, as determined by the people, laws, and available resources. For more information about the County, Click Here. SOREDI (Southern Oregon Regional Economic Development Inc.) is a non-profit organization dedicated to increasing the long-term prosperity of Jackson and Josephine Counties. They serve 13 incorporated cities including Ashland, Butte Falls, Cave Junction, Central Point, Eagle Point, Gold Hill, Grants Pass, Jacksonville, Medford, Phoenix, Rogue River, Talent, and Shady Cove. SBDC- The SOU Small Business Development Center (SBDC) provides in-depth, one-on-one guidance to businesses and prospective entrepreneurs at no fee. The SBDC business advisors have expertise in a broad spectrum of business issues. They can help you gather information, evaluate, plan, and create systems for your business that lead to greater profit, job creation, and job retention. Team counseling and on-site visits are available, as well as customized business assistance focused on your business needs. Sustainable Valley Technology Group- Sustainable Valley Technology Group educates business and community leaders in the Rogue Valley region about the challenges and opportunities created by sustainable development; help the region take better advantage of these opportunities and help establish the region as a center for sustainable technology and business development. SOVA- The Southern Oregon Visitors Association (SOVA) is a regional, non-profit marketing group formed in 1984. 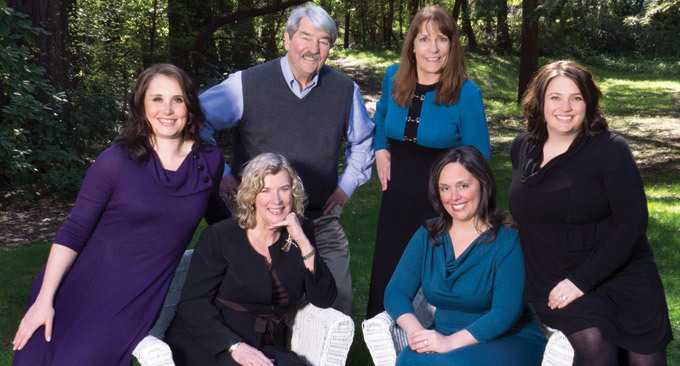 Over the years, SOVA has grown into a seven-county association of hospitality and tourism businesses and destination marketing organizations. Business Services, Job Seeker Services, Youth Programs and Child Care Resources. The Job Council is an important and active participant in the economic development efforts of the Rogue Valley.